Type and Characteristics - WYP-164; built by Bath Iron Works, Bath, ME, as a commercial steel-hulled fishing trawler, named Arlington, 1936; commissioned by the Coast Guard 24 June 1942 at a cost of $75,000 to convert hull, renamed Aivik; 590 tons displacement full load, 128ft long x 23ft beam x 11ft 6in draft; main engines- 1 Fairbanks Morse; 5-cyl, 2 cycle diesel; propellers- single; BHP- 525; armament (1942) 2 x 20 mm/80 (single); crew approx. 18 to 20. 24 June 1942 - Commissioned and assigned to CINCLANT stationed at Boston, MA. 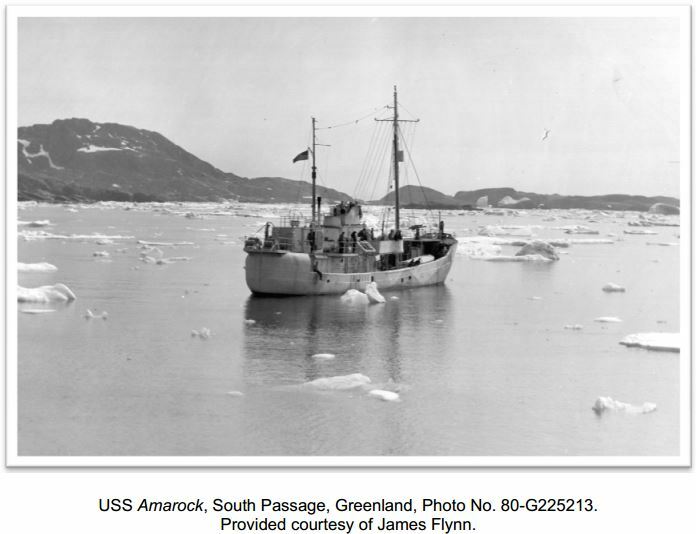 Used for weather station duty and Greenland Patrol. 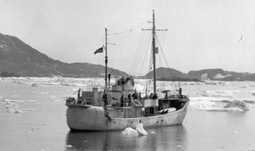 21 May 1943 - Rescued 42 survivors from the British tanker SS�Svend Foyne,�which had collided with an iceberg. Fate - Decommissioned 21 June 1944, returned to owner 11 September 1944.